When Karena Heyward and Jessica Lloyd-Hazlett were enrolled in graduate school together at the College of William & Mary, they agreed to split the cost of a hotel room while attending the American Counseling Association’s annual conference. The two counselors didn’t know each other very well, but over the course of the weekend they found themselves engaging in long, authentic conversations about their lives. Returning home, they reflected on the topic of vulnerability, and the two began to build a friendship based on helping each other through difficult moments in the counseling profession and life in general. Fast-forward five years, and that first step toward vulnerability has flourished into a series of presentations on the very same topic, including a session titled “Connecting to Our Vulnerability in Clinical Practice, Supervision and Self-Care” at the ACA 2016 Conference & Expo in Montréal. Heyward and Lloyd-Hazlett, now both counselor educators, initially worried about how people would respond to their insights and stories about their awkward moments as counselors. Instead they found a welcoming audience that craved conversations about self-doubt, discomfort and authentic connections in the counseling room. Vulnerability has certainly become a buzzword in the helping professions in the past few years. Big names such as Brené Brown, a licensed master social worker, TED talker and research professor at the University of Houston, have taken theory about difficult emotions including shame and self-doubt and turned the content into best-sellers. But even though counselors’ clients are told that the very foundation of change is to embrace uncertainty and discomfort, there is a scarcity of research about the impact of self-doubt and the nature of vulnerability among counselors themselves. Self-doubt among counselors, sometimes referred to in the literature as “fear of incompetence,” is associated with higher levels of stress, professional burnout, symptoms of depression, career changes and ethical misconduct. In a 2006 study of experienced therapists, Anne Thériault and Nicola Gazzola found that lack of knowledge was the most commonly acknowledged source of self-doubt. Other factors cited included a lack of strength in the counseling relationship, personal factors and a discrepancy between the counselor’s and client’s perceptions of outcome. Intrigued by some of this research, Everett Painter, a counselor education doctoral candidate at the University of Tennessee, presented on the topic of self-doubt and similar “emotional gremlins” at the ACA Conference in Montréal. He guided the room in a discussion about the “oughts” and “shoulds” that often get in the way of good work for counselors. Counselors of all experience levels frequently will face new or unexpected moments of self-doubt when working with clients. These moments are often set off by “triggering events” such as difficult content, a developmental plateau or something as simple as not knowing where to go or what to say next in a session. Counselors can respond to such moments either by pushing forward into the discomfort or turning away from the opportunity and detaching. Though scarce, the research hints at the truth of embracing the presence of self-doubt. A 2011 study in Norway reported that extreme confidence isn’t a recipe for good counseling outcomes in part because counselors who are overly confident are less likely to be sensitive and attentive toward clients. Conversely, therapists with some degree of self-doubt who can admit to their shortcomings are more likely to reflect on their work and, in turn, do better and build stronger relationships with their clients. In a 2009 descriptive study surveying new counselors, Thériault, Gazzola and Brian Richardson reported that the fear of incompetence also inspired counselors to read more, attend additional trainings and seek supervision. Novice counselors also reported that their fears were reduced when they shifted their focus from technique back to the counselor-client relationship. However, negative responses to self-doubt included feeling stuck or reactive, making technical errors and detaching from the therapeutic relationship. Vulnerability can be thought about in multiple ways depending on the theoretical framework a counselor uses. The classic Rogerian principle of congruence, also known as genuineness, is a common foundation used by counselors to create and model vulnerability. Carl Rogers saw congruence as the most essential piece of the counseling relationship, suggesting that a professional facade or external presentation that does not represent the internal workings of the counselor would do little to facilitate change. Heyward and Lloyd-Hazlett also regard relational-cultural theory (RCT) as a useful framework for viewing vulnerability as a strength within the counseling profession. Vulnerability can help foster an environment of mutual empathy and empowerment between counselor and client that in turn creates an atmosphere for growth and personal affirmation. Emerging from the feminist movement in psychology, RCT proponents teach that fear of rejection may cause individuals to hide personal flaws from others in a relationship, which can lead to disconnection, incongruence and feelings of isolation. Lloyd-Hazlett and Heyward suggest that this tendency to avoid vulnerability can manifest for counselors as experiencing impostor syndrome, feeling stuck, assuming that a client doesn’t like them or experiencing countertransference. On the other hand, counselors who embrace discomfort, seek supervision and, to use a Brené Brown-ism, “rumble with their story” are more likely to create a counseling environment that successfully supports clients and also encourages growth. Avoiding discomfort is not always evident as silence or a cold, detached demeanor on the part of the counselor, however. Fear of incompetence can also manifest as a kind of overfunctioning in the counseling room. 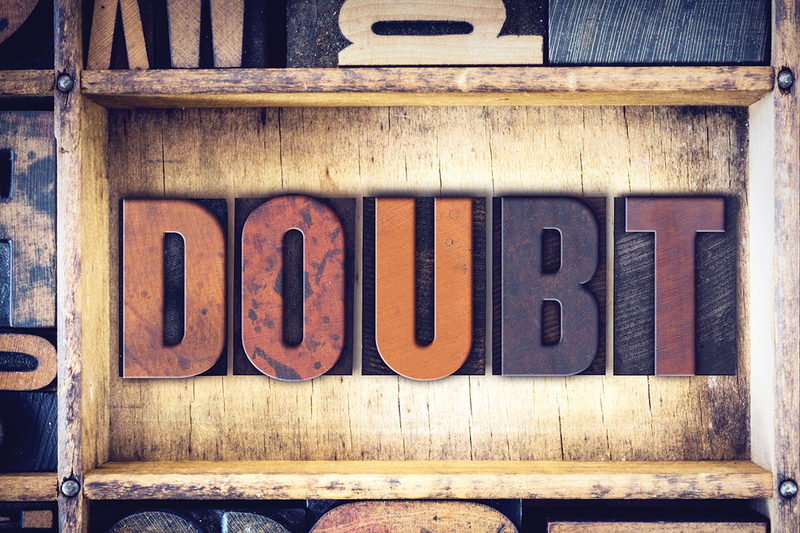 Perhaps what is most interesting in Thériault and Gazzola’s interviews of both experienced and novice counselors is the consistent observation that self-doubt decreases when the designation of responsibility is clear. In other words, counselors who assume too much responsibility for client outcomes are more likely to feel incompetent, whereas counselors who see clients as playing a significant role in creating change are more likely to experience reduced self-doubt and be more realistic about what can be accomplished with a client. But letting clients take responsibility and play a role in the therapeutic process often requires a certain level of discomfort, sometimes in the form of missteps, awkward silences and client resistance. Assuming the role of counselor for the very first time has its share of unavoidable discomforts. But in a classroom where students are graded and expected to perform to a certain level of competence, how do counselor educators think and talk about difficult emotions and awkward moments? Painter also recognizes how high-risk clients are a potential source of self-doubt for student counselors that could be addressed in the classroom. He reflects on his own experiences working as a beginning counselor with clients who were suicidal and his tendency to second-guess himself. Heyward models vulnerability by being genuine and embracing awkward moments in the classroom, such as when she finds herself going off topic or those inevitable instances when technology goes awry. She also allows students to ask her questions about her experiences. “If they ever get into a situation with a client, hopefully they can go back to what was said in my class and give themselves permission not to feel guilty or shameful in those moments. Because it’s OK to feel stuck. It’s OK to feel like you don’t know what you’re doing. You can take time to breathe through it and figure out a positive way to recover from it,” Heyward says. If discomfort, self-doubt and anxiety are actually signposts for potential growth, how might counselors know when they are moving toward vulnerability and the connections it can foster with clients? Asked about her own experiences with self-doubt, Lloyd-Hazlett recalls working with a client referred to her by child protective services. The client, “Grace,” was at risk of losing custody of her child. During the counseling sessions, Grace described a history of personal trauma so severe that Lloyd-Hazlett felt tears well in her eyes on multiple occasions. Lloyd-Hazlett uses this story with her students to talk about self-compassion and the self-doubts that counselors may entertain when clients terminate. “I think it is important that we model our successes, failures and all of the stuff that comes in between,” she says. Heyward says she knows she is moving toward vulnerability when she finds herself embracing moments of opportunity from which she easily could have retreated, such as the conference where she and Lloyd-Hazlett began to have genuine conversations. Kathleen Smith is a licensed professional counselor and writer in Washington, D.C. She is the author of The Fangirl Life: A Guide to All the Feels and Learning How to Deal. Contact her at kathleensmithwrites@gmail.com. Hi! I am form the Philippines. I am currently conducting a Research about the Lived Experiences of Guidance Counselors in handling clients with psychological concerns. I would like to ask for your permission if I can borrow some of your thoughts and perhaps if I can ask full copy of your study which would really help me along the course of my study. In anticipation of your favorable response, I am extending my warm thanks. The author’s email is listed at the bottom of the article — feel free to reach out to her directly. Thank you!